Item # 304627 Stash Points: 1,499 (?) This is the number of points you get in The Zumiez Stash for purchasing this item. Stash points are redeemable for exclusive rewards only available to Zumiez Stash members. To redeem your points check out the rewards catalog on thestash.zumiez.com. Pay homage to one of Wu-Tang's original members with the Liquid Swords crew socks from the Stance and Wu-Tang collection. 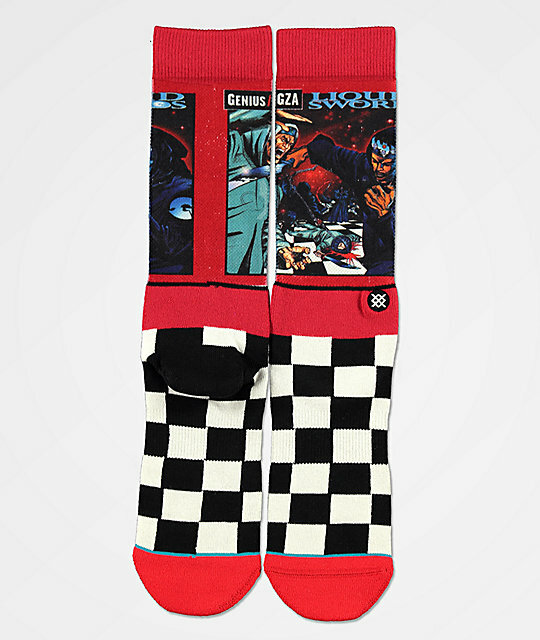 These super soft socks feature sublimated images of Gary Grice, AKA the Genius fighting an epic battle of rhymes with swords at the upper cuff while foot is designed with a white and black checkerboard colorway. 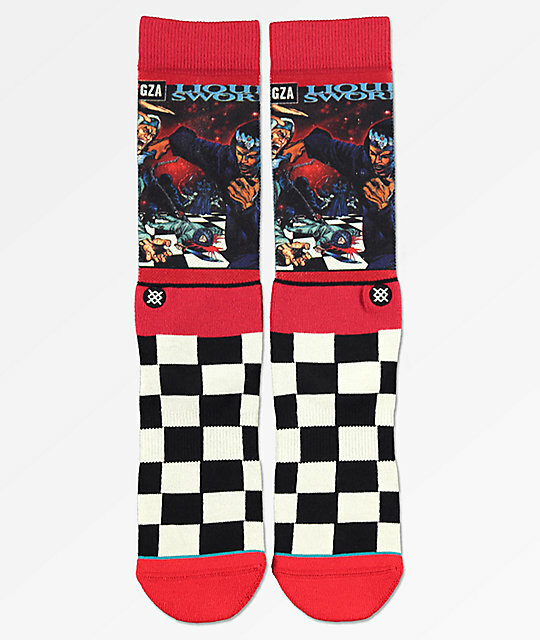 Liquid Swords Crew Socks from Stance. Official Stance and Wu-Tang collaboration. Sublimated graphics of GZA, AKA the Genius.